Pre-Engineered Telecentric Lenses : Don’t have a complete design? No problem! 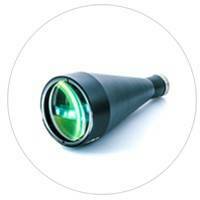 Telecentric lens is a special designed lens especially for correcting optical parallax. It can prevent the image magnification change follow by the object distance change within a certain distance range. This application is very important for those objects are not in the same surface. Shanghai Optics designs and manufactures various Telecentric lens for your unique application.